Dr. Ray G. Register, Jr. (BS, MDiv, MA, DMin) became acquainted with Muslims as a student at the University of Virginia in 1953. He served as a Southern Baptist Representative to Arabs in Nazareth and the Arab villages of Galilee and Palestine, ministering among the Arabic speaking people of Israel and Palestine for nearly 40 years. 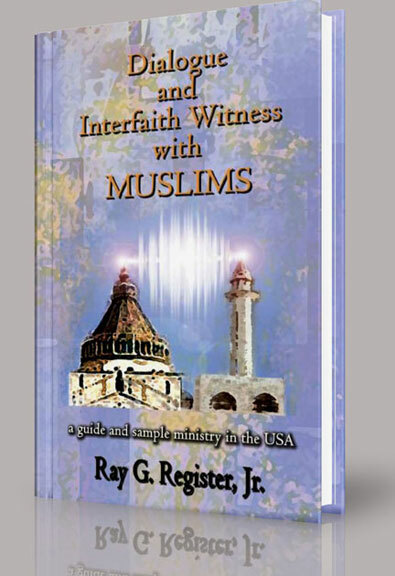 Dr. Register designed a guide to Dialogue and Interfaith Witness with Muslims with the help of his Muslim friends. It was field tested as a project of ministry among Muslims for the Doctor of Ministry degree in the USA. Dr. Register is a native of Columbia, South Carolina, grew up in Charlotte, North Carolina and was educated at the University of Virginia, Hartford Seminary Foundation, The Overseas School of the Hebrew University in Jerusalem on Mt. Scopus, and the Southeastern Baptist Theological Seminary. He taught Arabic and Middle East studies at Southeastern Baptist Seminary as a visiting professor and served as an adjunct professor at the Southern California Campus of the Golden Gate Baptist Theological Seminary. He directs IAM Partners, Inc., a nonprofit educational charity dedicated to advocating the educational and spiritual needs of the Muslims of the Holy Land and worldwide. 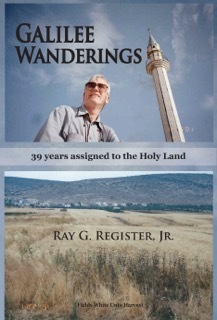 Ray and his wife, Rose Mary (Rich), continue their lifelong ministry discipling Middle Eastern believers. They have three grown children, five grandchildren and three great-grandchildren. "Back to Jerusalem clarifies the complex religious, political and cultural situation facing a committed Christian who longs to see churches planted in the rocky soil of the Holy Land. 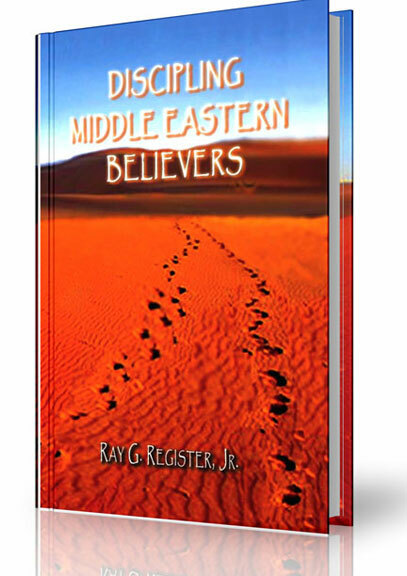 It is written as a guide for those who pray for the Middle East and an orientation for those who take study tours or plan to serve as church planters. It deals candidly with difficult history, opposition, missiological problems and also victories in this unique area. 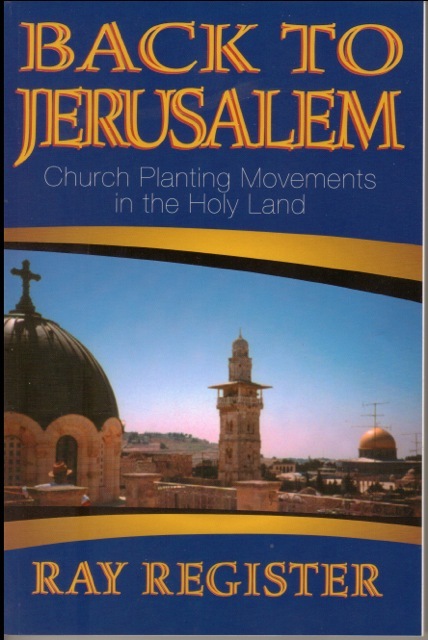 Guidelines for personal ministry and models of existing congregations in the Holy Land make Back to Jerusalem essential reading for students of the Bible." 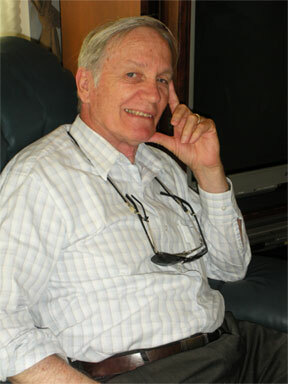 Ray Register lived 39 years in Israel as a missionary to both Arabs and Jews. Not only a personal story but a historical document, it is a swiftly-moving, chronological account in which he tells everything: achievements, spiritual experiences, failures, mistakes, conflicts, doubts, and the dangers of being a Christian. 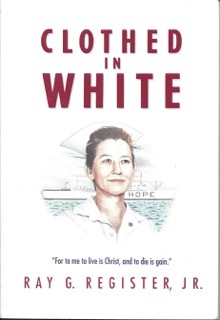 It is important that the life and impact of missionary nurse, Mavis Pate – and the spiritual aftermath of her sacrifice – should be recorded. God's Spirit was moving powerfully throughout the churches in Israel, the West Bank, and Gaza; many national Christians and their missionary colleagues were caught up in the life-changing events. The tragic death in Gaza of Mavis O. Pate, caused us to reflect on the cost of living for Christ and even the possibility of dying for Him. The Holy Spirit constrained Ray Register to present her story.